Classic Car Restorations Ltd is that type of business that could make you envious. Every day, Jason Loughrey, the owner, is working on rebuilding classic cars to ready-to-drive magnificent as-new condition! He makes the owners of those old vehicles absolutely delighted! 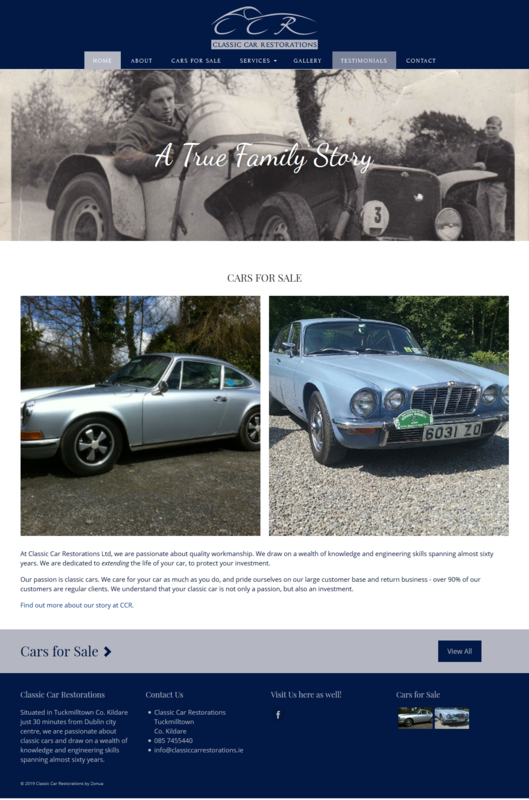 Jason, who is truly passionate by his work, wanted to share his abilities, knowledge and also a bunch of gorgeous classic cars for sale in a clever way. That's the reason why he got in touch with Zonua in 2017 to talk about his plans! We ended our first meeting with a few ideas and came back to him a couple of months later with the website he had imagined.